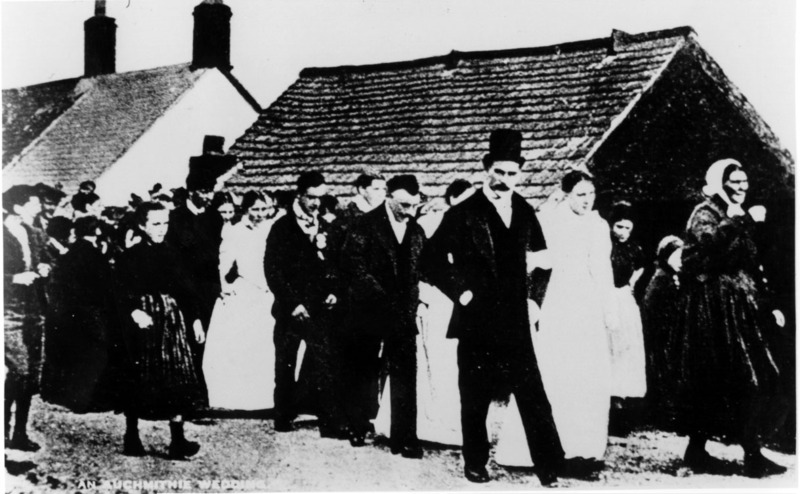 The wedding of John Cargill and Maggie Spink in 1895 with Cox Jock in attendance. Most Auchmithie marriages were solemnised in St Vigeans church 3 miles away. The wedding party walked there led by Auchmithie's oldest woman who danced in front with a glass of whisky. The party would stop at the halfway point, the lodge gates of the Seaton estate for drinks and a dance or two.